Start a Part Time Job – Real Estate – Driven Marketing Group Inc. – YOUNG MOMMY B.A. As a kid, apart from being exposed to muscle cars, I was exposed to construction of houses and commercial buildings. After all, that’s our family’s ‘bread and butter’. I would remember my father bringing the whole family to his project sites and I would imagine myself owning the properties, designing the interior inside my head. I can also recall getting condo/ house and lot brochures from stalls. Little did I know, it was a sign that I’m going to be working in the real estate industry. If you want to read how I got into this world, read my post here. For most people, you might think that being in a real estate world only meant selling properties and getting commissions from it. However, there is more than that. It’s a wide industry and each of its leg is very interesting. Not only that you can get decent earnings, you can have that fulfillment of being a bridge for those people who are trying to find a HOME. These are just few things I can share with you right now. 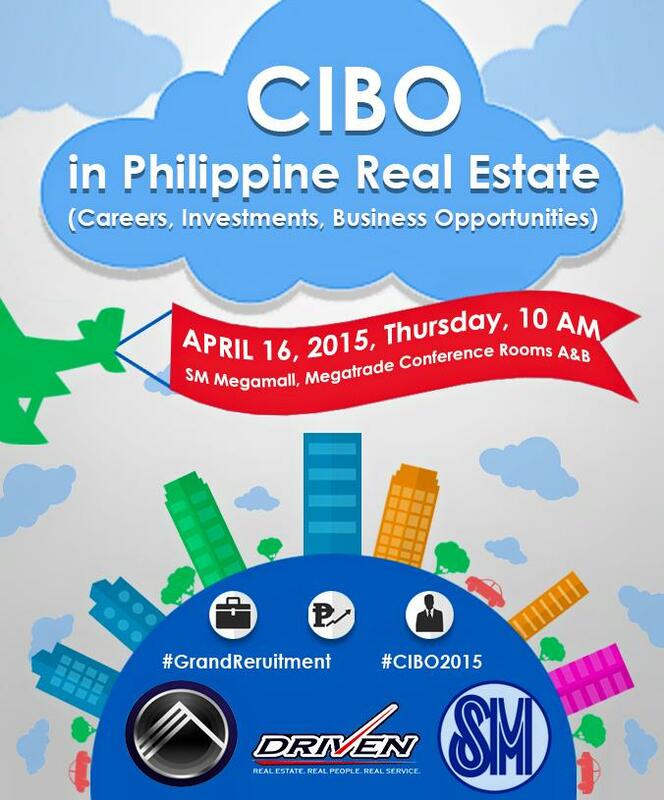 For the nitty – gritties, I suggest you attend the event by Driven Marketing Group Inc. on April 16, 2015 at SM Megamall, Megatrade Hall (Conference Rooms A&B). Learn more about Real Estate from the experts in the field. Get inspired by their success stories! It doesn’t matter if you have a day job. It doesn’t matter if you can’t go out of your homes for client trippings. Driven Marketing Group Inc. has strategized an assisting program where you can relax at the comfort of your own homes while earning from a closed sale. It doesn’t matter if you know nothing about the industry. With their regular and carefully plotted training, you’d be able to learn the ins and outs of the industry. I have been with Driven Marketing Group Inc. for about 4 years already. I started without anything to back me up – except my determination to learn and to make it big. Now that I’m a Real Estate broker, I’m sure I will still learn a lot of things from this group. They do not only base their teachings by the books, they have created their own strategies based on experience. I have seen them grow over the years and I am looking forward seeing them grow even further. Join the team and see you there. I used to sell properties too when I resigned from my job but I realized na hindi ko siya forte. Oh, that’s great that you were able to engage in Real Estate. I agree, some might not consider this as their forte. The most important thing is that we try to search what we do best. Right? I think determination ad will to learn is the key to everything we do. Add passion for anything that you want and for sure you will achieve it! This is amazing. I used to think being a real estate agent is only a full time job. Pwede rin pala itong magin part time. And from what I’ve seen, okay ang commissions. 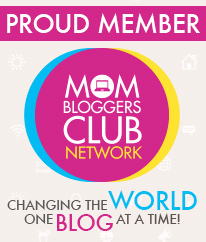 This is a good source of income for work at home moms! 🙂 Good to know that a job like this is available to us and conferences and events are held to expand our knowledge about it. Yes! 🙂 I actually enjoy meeting ‘part-timers’ from the group, and at the same time learning so much from them. 🙂 Hope you can attend. Invite your friends too. I actually took my real estate board exam while I was pregnant with my daughter 🙂 Pero yes, focus na lang muna sa pregnancy 🙂 Enjoy and stay safe. the muscle car part caught my attention! hahaha its always been a dream of mine to restore an old camaro. OO. Challenging talaga. Pero once you closed a sale, it can be very addicting 🙂 Try it. Super saya. I have a friend who is in real Estate and she is really doing well. It’s really admirable how you guys do it. I guess we just put our heart in it 🙂 Thanks 🙂 Try it too. I wish I had your guts. I have also been into selling properties but nothing positive has come up. My mom used to be a real estate agent as her part time job, after niya maikuha ng house siblings and my grandparents in one subdivision she stopped na, she said she fulfilled her dreams na. Coincidence because I just got home from our graduation for Comprehensive Real Estate Seminar for Brokerage. My mom was the one who convinced me to join, and now I’m looking forward to acing (not just passing haha!) the board exam! Oh my gosh! Good luck on your exam ok? 🙂 I’m sure you can nail it. Oh please try! 🙂 You can attend the event tomorrow if you want 🙂 Just let me know.